The City of Vancouver recently held a design contest for manhole covers that was open to any artist. It was an opportunity for artists to flex their creative muscle, whether you were 6 years of age or 60. The winning artist has the opportunity to have their artwork immortalized on city streets for up to 100 years. How’s that for staying power? The aim of the contest was to solicit submissions that assisted in increasing awareness of our environmental impact on the water ways while at the same time distinguishing the two separate sewer systems, one being sanitary and one being storm/rainwater. Our sewers play in important part in keeping local waters healthy. Many everyday items such as fertilizers and pesticides used in gardens can harm the water’s ecosystem. Each year, the City of Vancouver replaces 14 kilometres of old sewer mains with two new pipes, one for stormwater run-off and one for sanitary. Upgrading sewers to two separate pipes will eliminate the overflow of sewage into Vancouver’s waterways. Wherever you see two sewer manholes in the streets you know that the neighbourhood’s sewer system is up to date and contributing to a greener Vancouver. This year’s contest received over 1,000 submissions. The winners of the Manhole Cover Design Challenge will be announced on June 1st. All the submissions are viewable online or in person at the Interurban Gallery, 1 East Hastings Street, from 1:00 p.m. to 5:00 p.m. until June 8th. Also, until June 8th, you can vote for the People’s Choice award online. The winner of the People’s Choice Award will be announced on June 10th. After viewing some of the submissions, which are quite amazing in their diversity, I must say I have an affinity for some prepared by a few 6 years old that ask that we keep our oceans clean. It will be interesting to see what the jury decides and what the people decide as there are so many great submissions. Don’t forget to vote for your People’s Choice by June 8th. 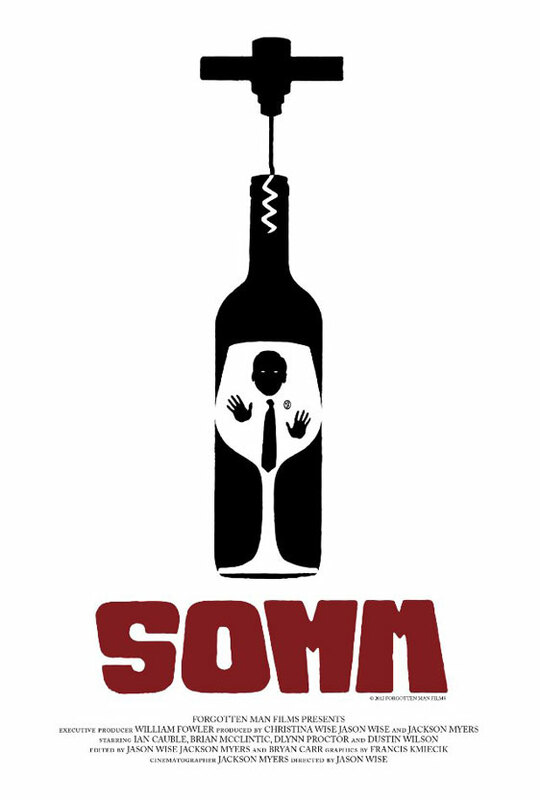 The Rio Theatre, 1660 East Broadway, is presenting their first ever wine tasting along with the screening of the highly-anticipated documentary SOMM. This debut film by director Jason Wise explores the “massively intimidating” Master Sommerlier Exam. This film will take you into the mysterious world of the Court of Master Sommeliers. The Court of Master Sommeliers is one of the world’s most prestigious, secretive, and exclusive organizations. Since its inception almost 40 years ago, less than 200 candidates have reached the exalted Master level. The exam covers literally every nuance of the world of wine, spirits and cigars. Following the screening, a lively and entertaining Q&A is to follow which will include SOMM’s director Jason Wise attending via Skype along with an expert wine panel featuring Westender Vancouver’s wine columnist, Kurtis Kolt, Advanced Sommelier candidate Robert Stelmachuk and Shane Taylor, Assistant Wine Director at Blue Water Care + Raw Bar. This VIP event gets underway at 7:00 p.m. on June 11th. Tickets for the wine tasting and film screening are available online in advance for $25.00, or $30.00 at the door. Tickets for the screening only are available online for $12.00 or at the door for $15.00. Movie screening and Q &A gets underway at 8:30 p.m. This Wednesday, May 29th, The Cultch Gallery, 1895 Venables Street, invites you to the opening of a new exhibit. 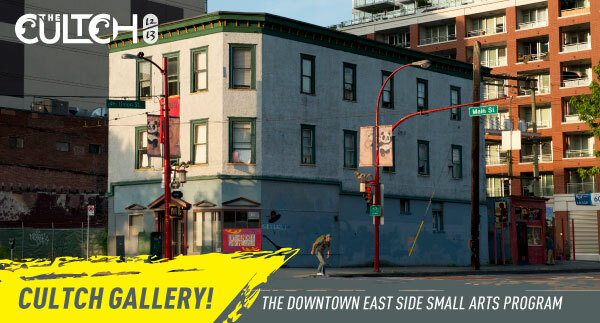 The Cultch Gallery will be showcasing the works of the Vancouver Foundation’s Downtown East Side Small Arts Grants program. This program was created in 2008 in partnership with the Carnegie Community Centre. The initiative seeks to foster individual achievement amongst local artists in the Downtown Eastside neighbourhood. You are invited to attend the opening reception of this exhibit which will be held from 6:00 p.m. – 8:00 p.m. on Wednesday, May 29th. The exhibit runs from May 28, 2013 – June 8, 2013 and can be viewed from 12:00 p.m. – 6:00 p.m. Monday to Friday and 12:00 p.m. – 4:00 p.m. on Saturdays. Federico’s Supper Club, 1728 Commercial Drive, and Jeff Turner Entertainment Group are featuring two of Canada’s best comedians tonight. The comedy show opens with Ben McGinnis who is a native of Vancouver and will entertain you with his caustic wit. The comedy headliner is Carter Hortie. Carter is a veteran of the comedy scene and has been delivering his satirical comedy for over 15 years across North America. Come out for dinner before the show and enjoy a 3 course meal. Reservations are being accepted from 6:30 p.m. onwards. The comedy portion of the evening begins at 9:30 p.m. Then cap off the evening with live music by Federico Fuoco and Shannon Green and a little dancing. All this for $50 not including taxes and gratuity of course. For reservations call 604.251.3473 or book on-line. The demonstration cooking class will be held on Saturday, June 8th from 11:00 a.m. – 2:00 p.m. at a cost of $70 plus tax. If you are interested in participating in this class, I suggest you hop to it. Classes fill quickly and are limited to 20 people. To register call, 604-253-3022. A group of neighbours in the Mount Pleasant area are leading the charge to create an Art Walk in the Broadway East area. The idea is that a number of businesses along the Broadway corridor between Prince Edward and Prince Albert would provide some exhibition space within or outside of their premises. 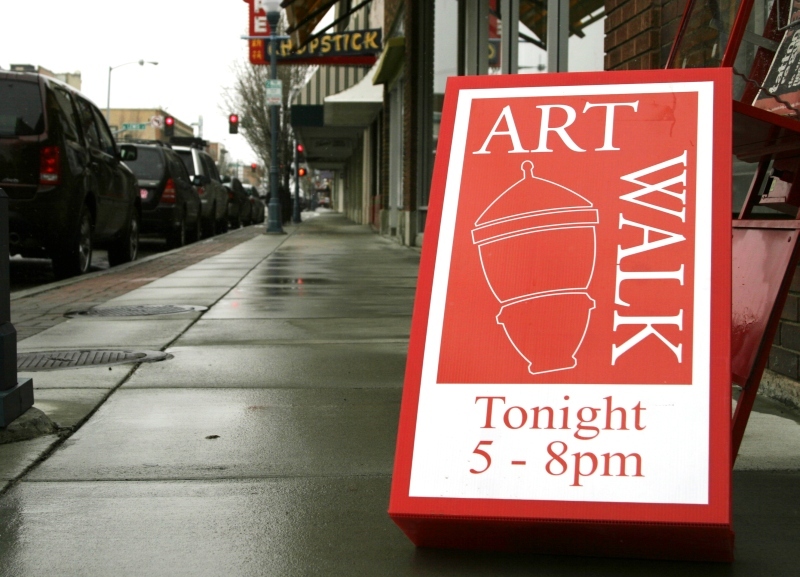 A small scale pilot Art Walk is scheduled for June 8th with a larger event to follow on September 29th to coincide with other community events taking place at that time. The goal of the initiative is to bring new life to this area while supporting the local arts. They are looking for artists in a variety of mediums including: paint, short film, sculpture, performance, temporary installation, you name it. The field is wide open. It is preferred that you have not exhibited your work previously. If are interested in submitting your art, submit your contact information and 1 – 2 samples of your work or a link to your portfolio to: broadwayeastartwalk@gmail.com with the subject line “Broadway East Art Walk”. 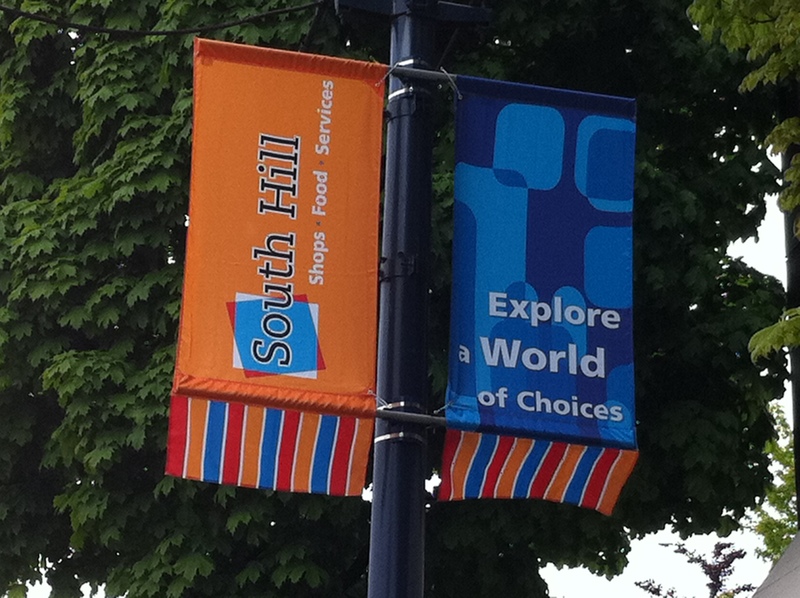 The South Hill Business Association is presenting the South Hill Festival this Saturday, May 25th. 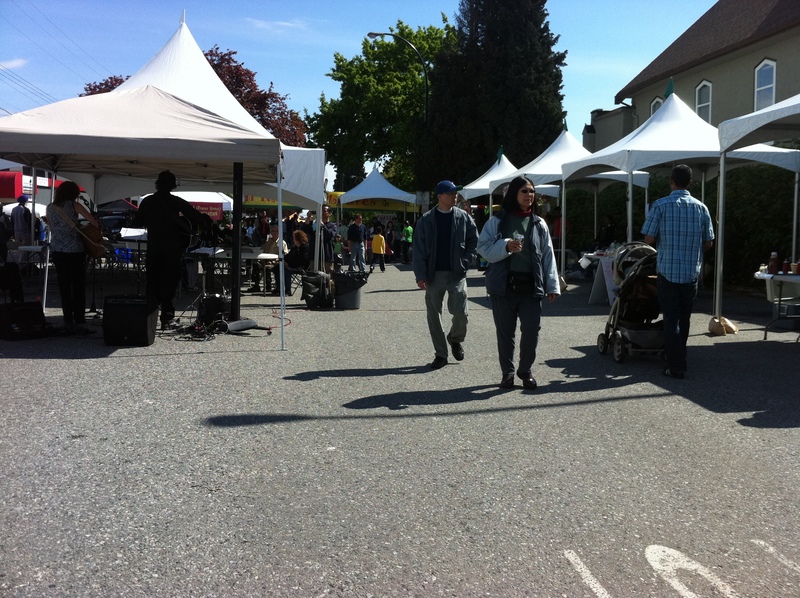 The event will be taking place in the parking lots behind the Fraser Street shops (east of 44th Avenue to 48th Avenue). This a family centered event with lots of activities for the kids including a climbing wall, art and craft projects as well as an obstacle running circuit. There will also be a Food Fair with local restaurants participating including the Lovely Thai Restaurant, Pizza Plus (the plus being East Indian food), Magda’s Restaurant which serves South American food and Dairy Queen. There will also be a main stage with entertainment by Jim Book from Noon to 1:00 p.m. and one of my personal favourites, Lesismore from 1:00 p.m. – 4:00 p.m. 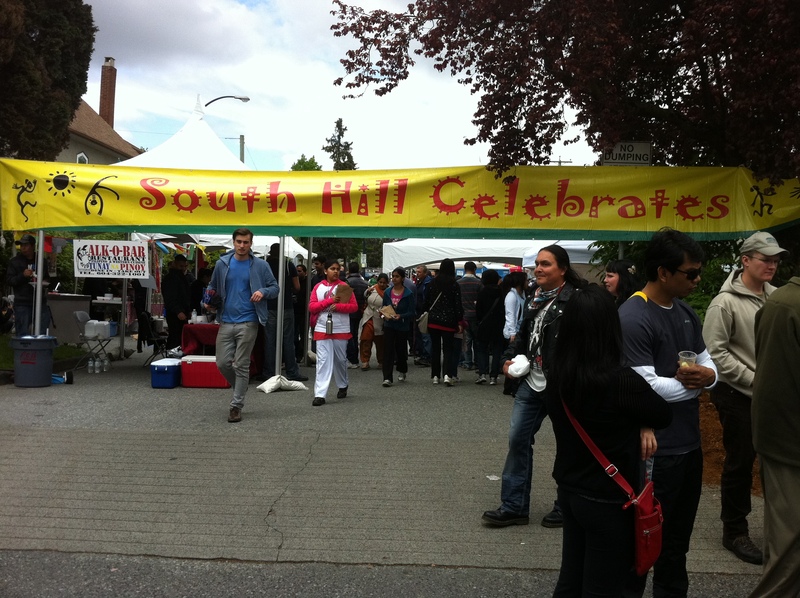 The festivities start at Noon and go till 4:00 p.m.